Are you living on auto-pilot – emotionally and spiritually disconnected from life? Do your self-sabotaging beliefs and patterns keep appearing in your life? Are you in a constant state of anxiety and fear? Do you want to develop your intuition and gifts and abilities, perhaps start a business with them? Would you like better health, more wealth and greater happiness? When you entered into this human existence you arrived energetically embedded with what I refer to as your “Divine Energetic Blueprint”. This unique and sacred blueprint contains everything your Higher Self needs to know in order to evolve to its highest potential in this lifetime. It contains the unique gifts and talents that you are here to share, access to love and joy in its purest essence and a deep, trusting connection to the Divine. As you moved through your human existence you took on layers of false beliefs, traumas, wounds and psychic energy that may have left you feeling disconnected from the truth of who you are – but the sacred truth is you can never be disconnected from your Source. Think of these layers of false beliefs, traumas and wounds as energetic blocks or veils that prevent you from accessing and aligning with your Intuitive Power (inner wisdom). These blocks and veils manifest as symptoms in your life such as feeling like a stranger in your own life; constant anxiety and fear; loss of passion and joy and more. Within your Energetic Blueprint are the sacred keys to living a life of joy, passion and abundance. You may know these keys as the chakras, but I refer to them as your “Wealth Centers”. I began referring to them as Wealth Centers after years of intuitively and energetically connecting with and tuning into my clients Higher Self and Energetic Blueprint and discovering a wealth of sacred information within each one. I am able to ‘see’ the blocks, traumas and false beliefs that have been sabotaging you from reaching your dreams or goals. Until you clear and heal the layers of energetic blocks on an energetic and spiritual level you cannot experience the manifestation of what you desire. You’ve found your way to this page because you are being called to connect at the deepest level so that you can serve the world with your unique essence, gifts and sacred wisdom in a way that only you can. In my work as an Intuitive Life Coach what I’ve discovered is that a majority of clients were coming to me expressing nearly the same descriptions of symptoms they were experiencing. I came to understand that the symptoms that manifest in our outer life are how our Higher Self lets us know we are out of alignment with our Energetic Blueprint – our truth. Time and time again, as my clients healed on an energetic and spiritual level they shared that many of the symptoms they struggled with (many for years) had been replaced with higher vibrational energies and they experienced major shifts in their lives. It’s time to tune into the wisdom and message your symptoms are trying to tell you. If you are experiencing one or more of the symptoms and are living by default instead of by Divine design, I invite you to learn more about how my 8 month Intuitive Life Makeover Platinum Program. As an Intuitive Life Coach I can support you in clearing and releasing your layers of false beliefs, traumas and wounds and realign you with the truth of who you are, develop your intuition, access your innate gifts and abilities and live the life you came her to live. A 50 minute Energetic Assessment: In our initial session I will work with you and go into each of your Wealth Centers, or Chakras to give you messages and facilitate healing. By energetically tuning into each of your Wealth Centers I am able to ‘see’ the blocks, traumas and false beliefs that have been sabotaging you from reaching your dreams or goals. During that process I receive messages, images and/or phrases related to each of your Wealth Centers which empowers me to facilitate the realignment of your energetic center. 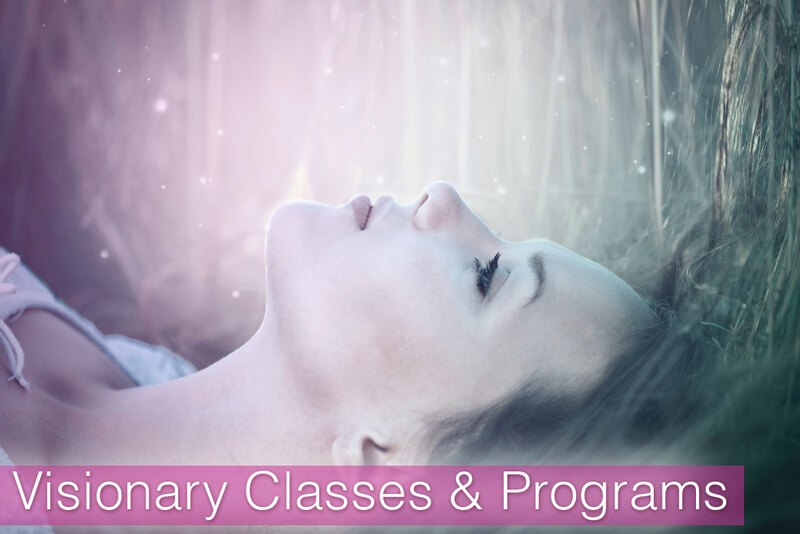 This enlightening and powerful energetic assessment provides the important messages your soul wishes to share with you and forms the foundation for me to facilitate and accelerate the realignment of your energetic centers and to support you as you integrate these powerful new energies into your life. These calls will be held weekly for the first three weeks following your Energetic Assessment. 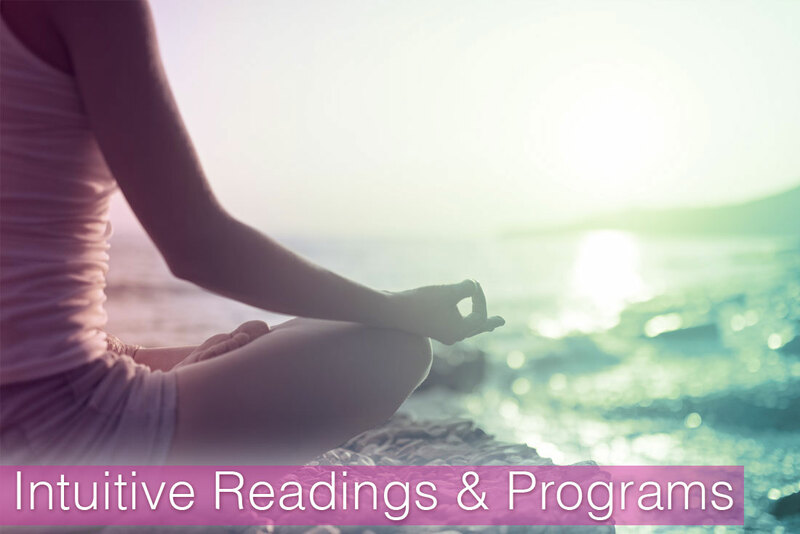 Sixteen (16) 45 minute Intuitive Coaching Sessions to be scheduled twice a month for eight months and focused on empowering you in integrating and taking aligned action on the visions and goals you have realigned within you during our sessions. Soul-Enriching Homework: Depending on the messages received during a session you may receive ‘sacred homework’ such as meditation, guided visualization, journal writing or other tool to assist in strengthening the clearing and healing work experienced in your session. Each call will be recorded so you can listen again and again to the divine wisdom and messages shared. MP3 Recordings: Each call will be recorded so you can listen again and again to the divine wisdom and messages shared. As I shared previously, your Energetic Blueprint contains everything your Higher Self needs to know in order to evolve to its highest potential in this lifetime. It contains the unique gifts and talents you are here to share, access love and joy at its purest essence and a deep, trusting connection to the Divine. As with any energetic system when there is a ‘short’ in any part of the system it causes malfunction in the whole. For my visual friends, think of your Wealth Centers as the energetic systems that run in a straight line through your body from the Divine (Crown) to the Earth (Root). If there are blocks or ‘shorts’ in any of the your Wealth Centers it affects your entire Energetic Blueprint and you experience symptoms related to the Wealth Center associated with it. An Intuitive Life Makeover is what occurs when I work you and go into each of your Wealth Centers to ‘see’ the blocks, traumas and false beliefs that have been sabotaging you from reaching your dreams or goals. During that process I receive messages, images and/or phrases related to each of your Wealth Centers which empowers me to facilitate the realignment of your energetic center, release false beliefs and programming and integrate true beliefs in your Soul Contracts. Imagine, as you come back into alignment with the truth of who you are you’ll discover that they symptoms you were experiencing have been replaced with higher vibrational energies, thought processes and manifestation of life experiences. An Intuitive Life Makeover will help you improve your relationships, career, help you find your calling and life purpose and can improve your health. Time and time again, I’ve been blessed to witness miracles in my client’s lives after our work together to realign their Energetic Blueprint and clear the blocks within their Wealth Centers. As an Intuitive Vibrational Catalyst, think of me as your Sacred Guide who connects with your soul’s Divine Self, empowering me to share your soul’s Divine messages in order to facilitate your healing on an energetic level and reconnecting you to the truth of who you are.